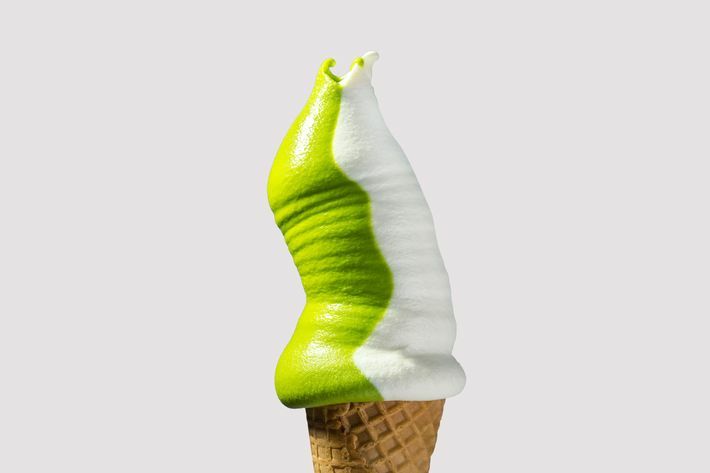 Is soft serve finally getting some respect? The World’s Best Pastry Chef (at least according to the publishers of the U.K.’s Restaurant magazine), Dominique Ansel, is a big fan. And so are the owners of the World’s Best Restaurant, Eleven Madison Park’s Daniel Humm and Will Guidara. These three distinguished Mister Softees are part of a pack of serious restaurant folk gravitating to the least-serious ice-cream form. 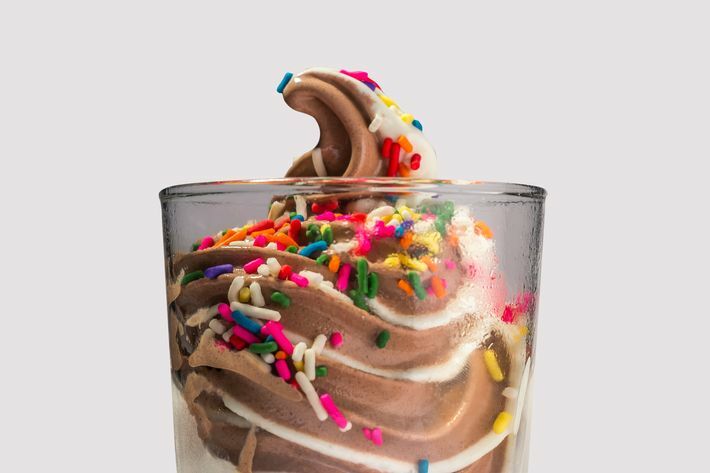 Here’s why: Besides being fun, nostalgic, refreshing, and eternally crowd-pleasing, it can be dipped, sprinkled, drizzled, or otherwise Salty Pimped, in the manner of trendsetter Big Gay Ice Cream (just try asking some snooty gelateria for jimmies or hot fudge). 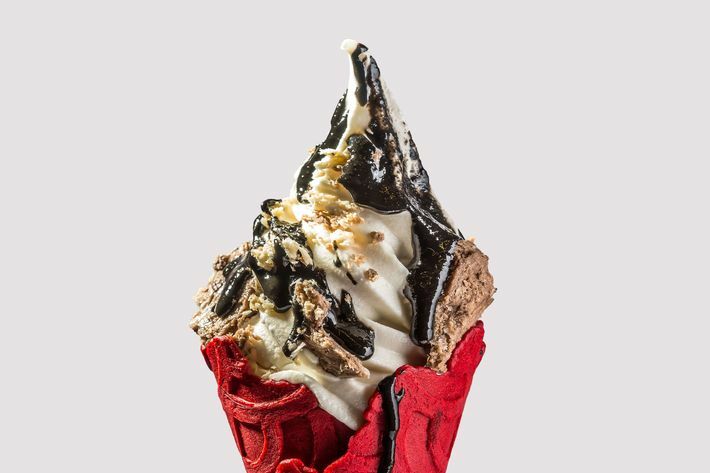 What had long been the sole province of boardwalk stands and Dairy Queens has trickled up to boutique bakeries, major restaurant groups, and Asian-flavor innovators. 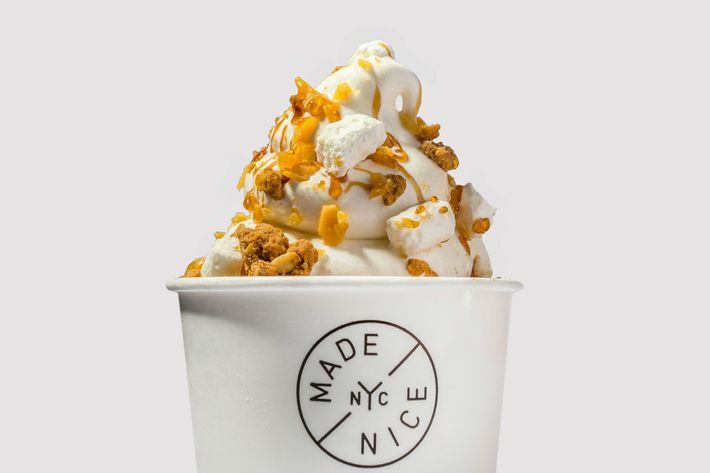 Here, the city’s newest spots to get soft-served. 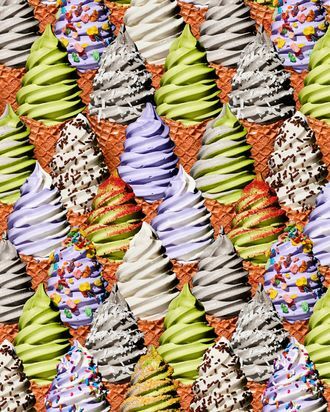 Preternaturally smooth Asian-inspired flavors like black sesame, matcha, and Instagram-favorite ube on mix-and-match cones. A “fun version” of a signature Humm restaurant dessert that tops milk-flavored ice cream with honey-oat shortbread, honey brittle, milk meringue, buckwheat honey, and sea salt. 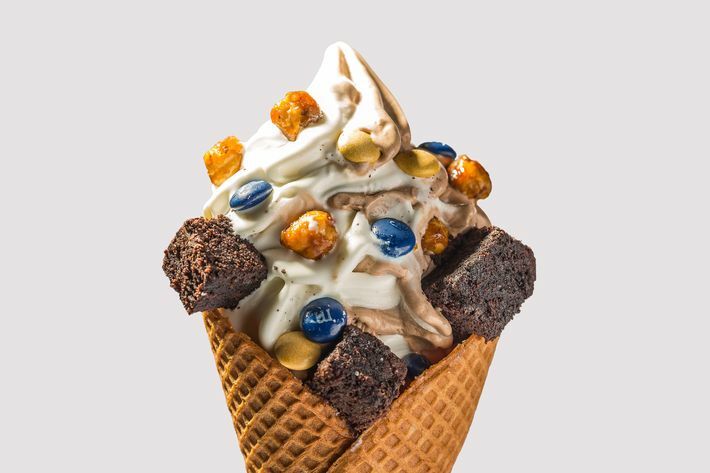 Vanilla, chocolate, and a housemade waffle cone — but it’s really all about the toppings bar, stocked with brownie bites, meringue kisses, candied hazelnuts, and custom-colored M&Ms. 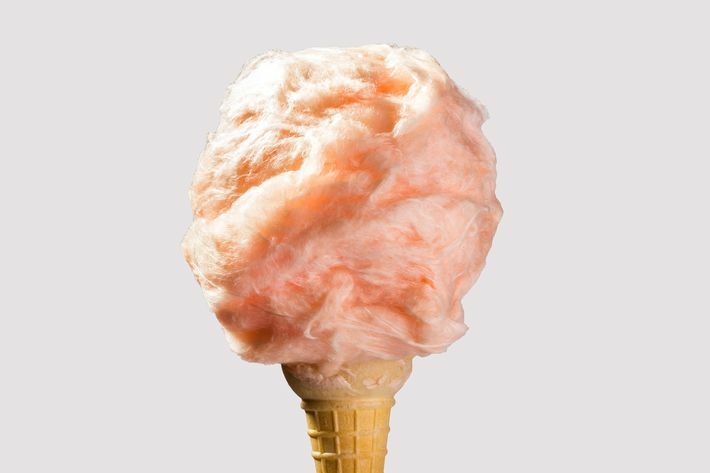 Simple swirls of rotating flavors at the Brooklyn shop, and carnival-themed productions like a cotton-candy-wrapped Creamsicle cone at a Chefs Club Counter summer pop-up. “Plated” desserts in oversize waffle cones, combining grown-up flavors (cold-brew coffee, peach tea, burrata) and garnishes (anise biscotti, milk foam, lemon powder). 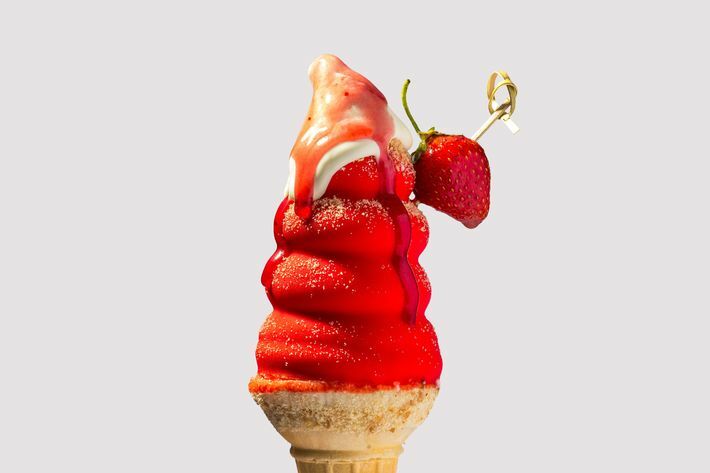 Drippy, elaborate sundae-cone concoctions like the Berry Gibbs: strawberry soft serve, cherry dip, boozy strawberries, and a coating of crushed Nilla Wafers. One of the best custardy vanillas we’ve come across, plus a revolving flavor like strawberry-rhubarb or coconut-culantro. Take it to go, or linger in the corrugated-metal-walled garden. 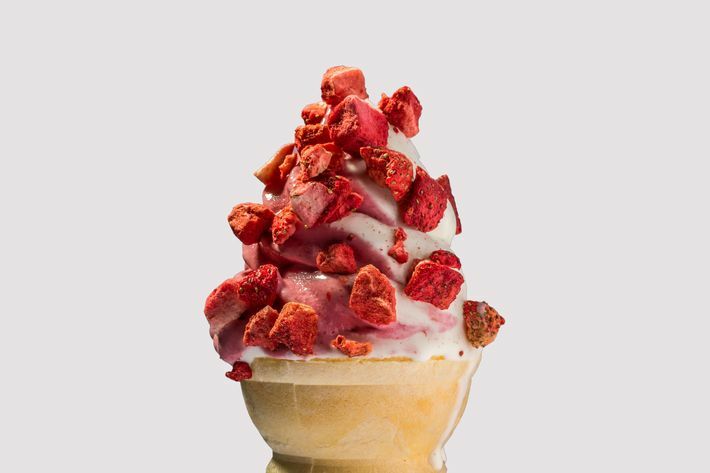 Soft serve pulled from a machine residing in its own designated shed in the garden, where you can enjoy your strawberry-rhubarb or vanilla cone, optionally dipped or dotted with freeze-dried berries. 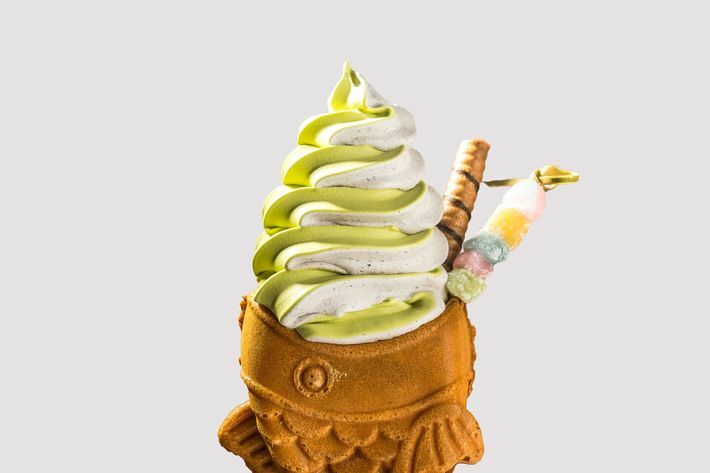 Cakey, almond-flour, fish-shaped cones called taiyaki, concealing a dollop of custard or red-bean paste and topped with ice cream both exotic (matcha, black sesame) and familiar (vanilla, chocolate). 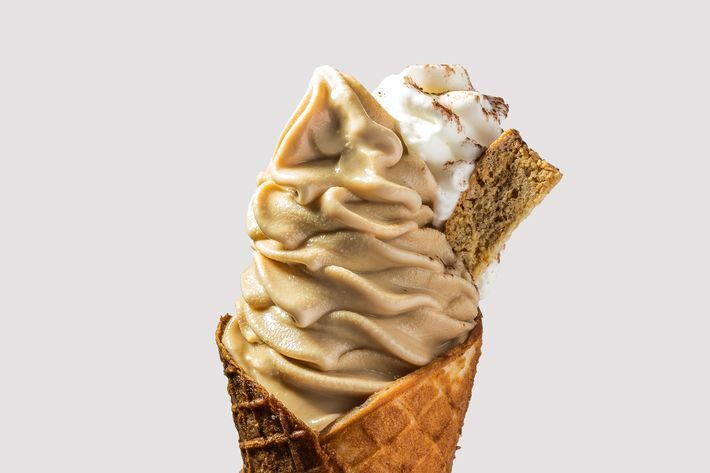 Goat’s-milk soft-serve in tahini or the new black tahini, topped with halvah crumbles and a drizzle of fresh-milled tahini. 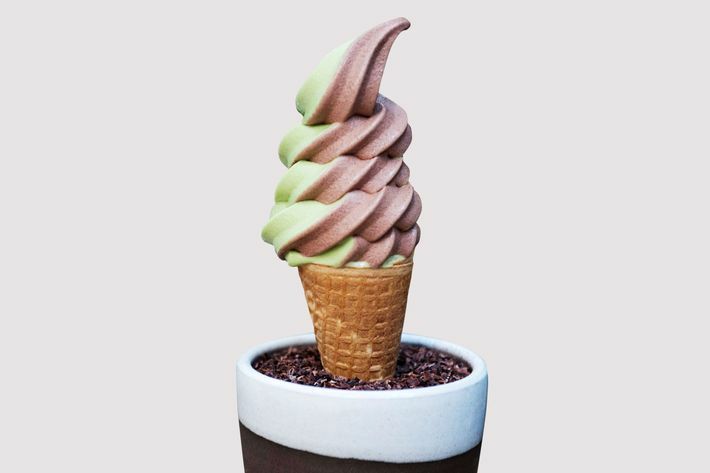 Throwback fro-yo, in rotating flavors like vanilla, chocolate, and the ubiquitous matcha, cheerfully dispensed from Jean-Georges Vongerichten’s market counter in the lobby of the new Public Hotel. 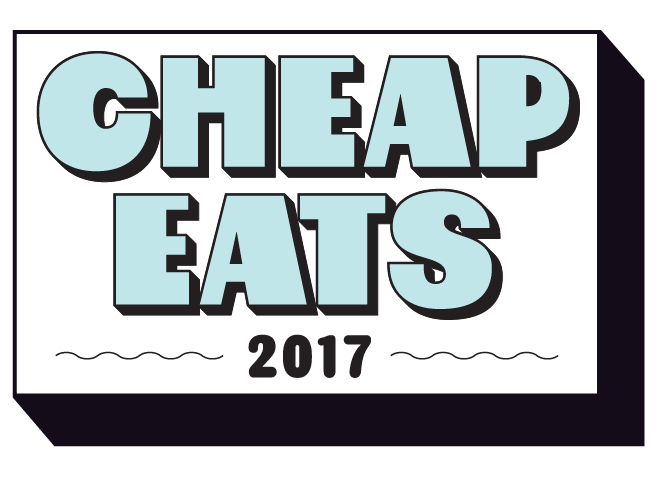 Take your pick of 21 toppings, from Raisinets and dried papaya to salted corn nuts and goji berries. 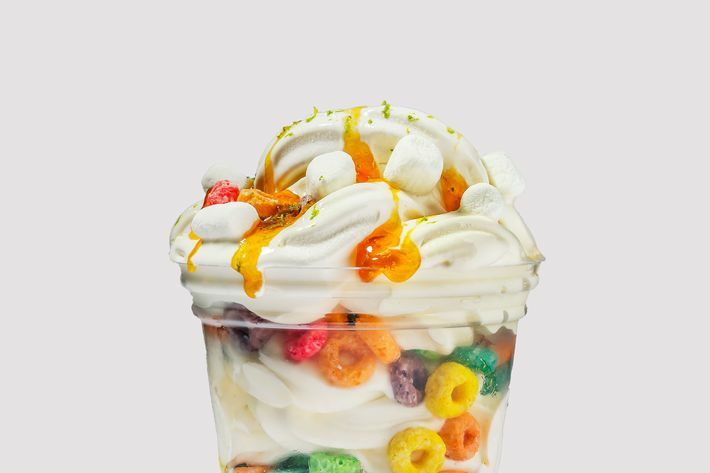 Cereal sundaes conceived by Milk Bar founder and noted cereal fanatic Christina Tosi, whose high-low combos include the Life in Color: Froot Loops, lime zest, marshmallows, and passion-fruit jam.